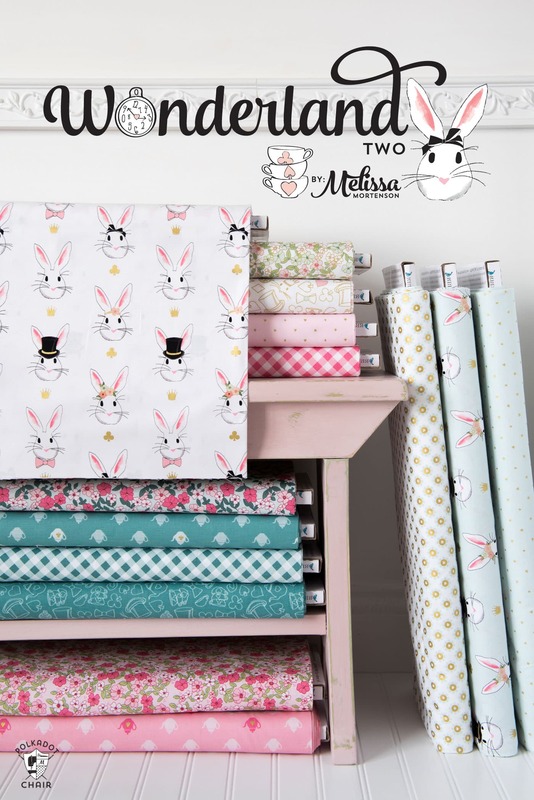 Today kicks off the blog tour for my #WonderlandTwo line of fabrics with Riley Blake Designs. 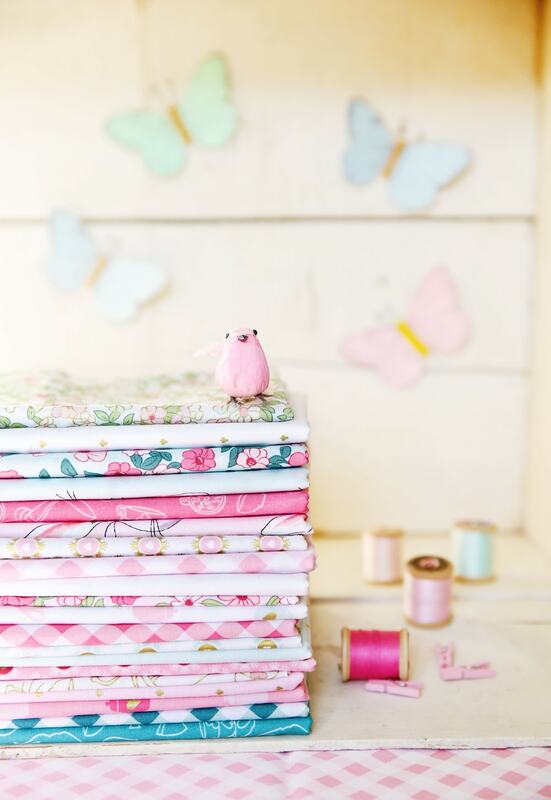 I’ve lined up a month worth of fun sewing and quilting ideas for you from some of the best designers in the industry! Today we kick off the tour with Elea Lutz of Elea Lutz Design. There has been so much going on “behind the scenes” this month, and I feel like one of these days I’m going to have a MILLION things to share with you guys all at the same time LOL!! Right now though, the projects are coming out slowly, bit by bit. 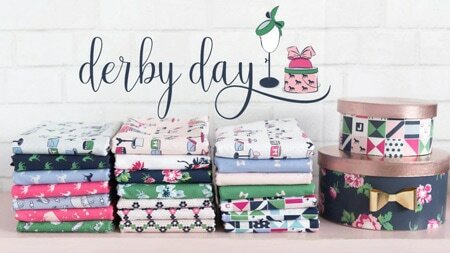 In January I got my Wonderland Two yardage! It’s always such a happy day when fabric arrives at your doorstep. It’s an even happier day when that fabric makes the UPS man make 3 trips to my front door. For the last two months I’ve been concentrating on finishing up the patterns that I have to go along with the Wonderland Two line. I’ve also been trying to improve a lot of my media skills and have been taking more online Illustrator and Photography courses. It seems like everything that I’ve done since Christmas is taking three times as long as normal, and it’s been really frustrating at times. I’ve been pushing my skills when it comes to developing projects, photography and fabric design, and the learning curve for a few of the items has been a bit steep. I just keep reminding myself that when I’m done the extra time will be well worth it. 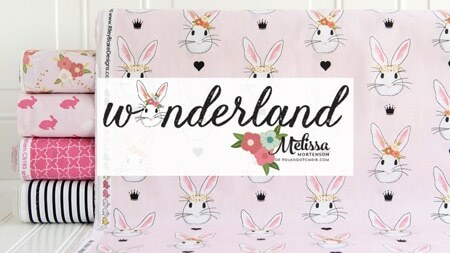 One of the many fun things that has been going on “behind the scenes” is the Wonderland Two Blog HOP! 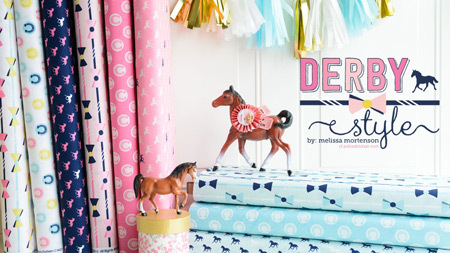 I’ve got 5 fantastic designers ready to share some fun sewing and quilting projects with you! Today the tour kicks off with Elea Lutz. If you’re not familiar with Elea, you should be! 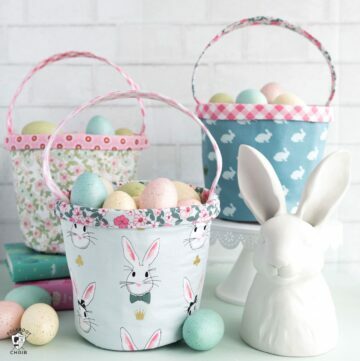 She’s a fellow Riley Blake (Penny Rose) fabric designer and makes the most delightful vintage prints! I seriously swoon every time I look at her designs. 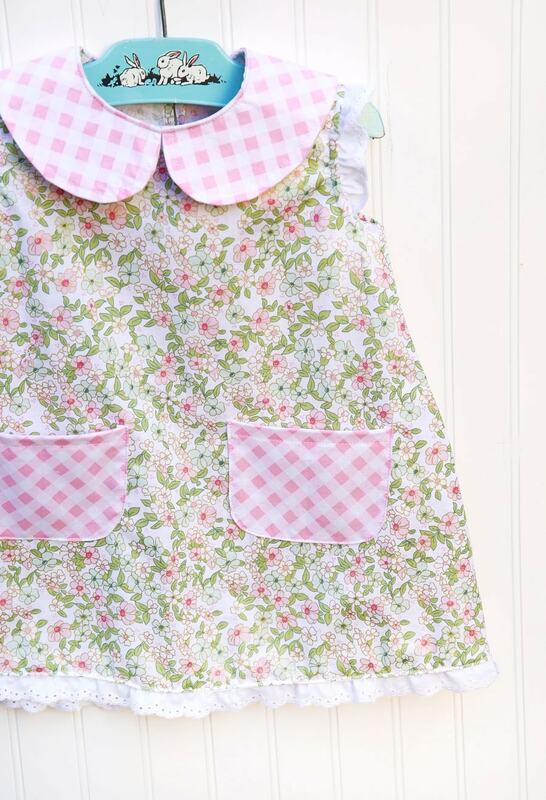 She is sharing a mini tutorial for the adorable Mini Quilt shown at the top of this page, and chatting about this sweet dress that she stitched up. 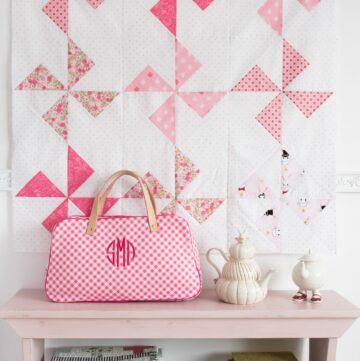 The dress is made from Simplicity #9643 and the quilt is simply stitched using 4″ blocks. 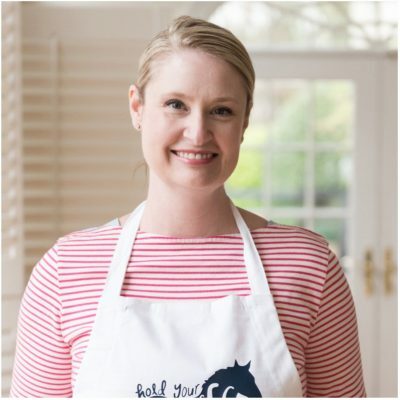 To get all of the info about her projects and more details, then CLICK HERE TO HOP on over to Elea Lutz Design! 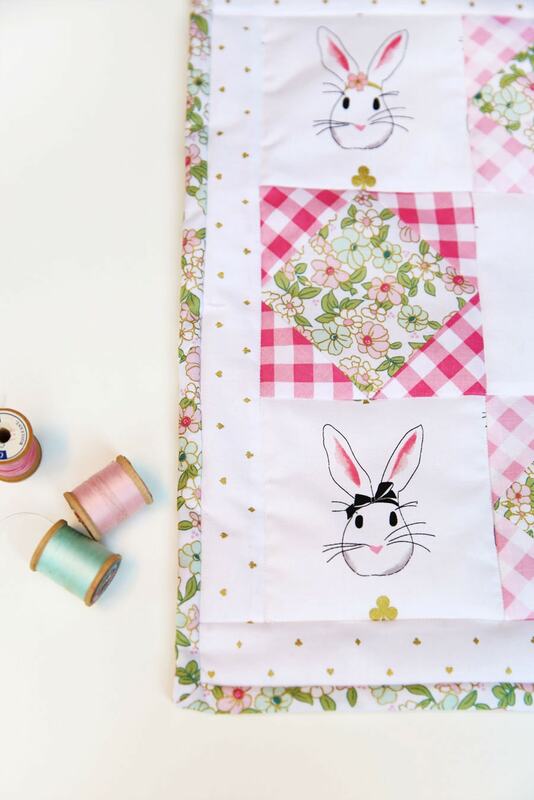 Watch all this month for more projects using Wonderland Two fabric… here’s a little sneak peek of little purse pattern that I’ve been working on! 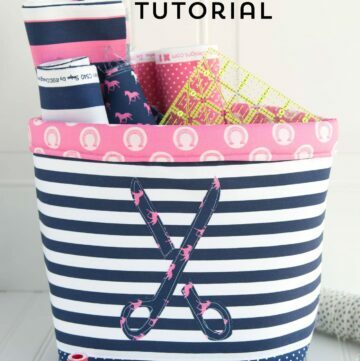 Where is the link to the mini quilt tutorial? I didn’t see it on Elea’s blog. Thanks! Hi! 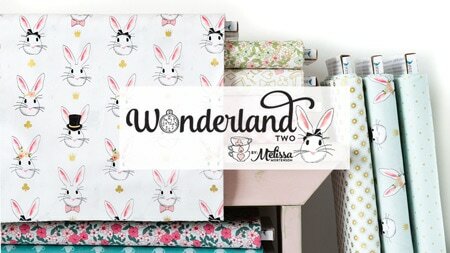 I just recently discovered your wonderland two design. 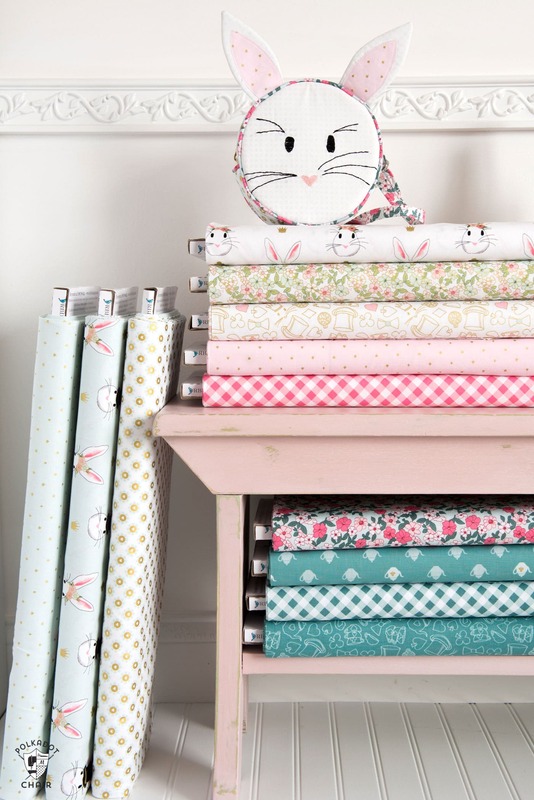 But I also love, love, LOVE your wonderland one fabrics. Have you discontinued those fabrics or can I still get them somehow? In the meantime, I am having tons of fun with the fabric two line 🙂 but would so like to be able to order the original prints. I can’t find them in any stores in Michigan.